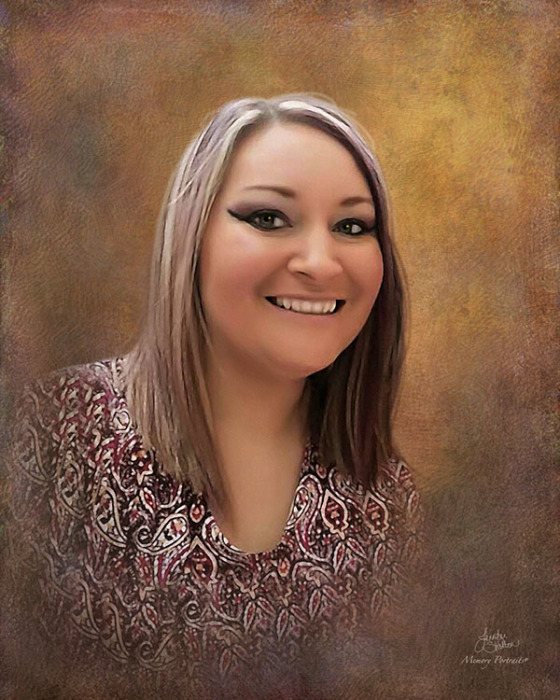 Julie M. Osborne, 37, of Fort Branch, Indiana, passed away on September 16, 2018 at Linda E. White Hospice House in Evansville, IN surrounded by her family after a courageous battle with Leukemia. She was born to Paul and Connie (Eley) Osborne on October 21, 1980 in Evansville, Indiana. Julie was of the Christian faith and a member of Gilda’s Club. She has a bachelor’s degree in education and ran her own daycare so that she could spend as much time with her daughters as possible. She touched so many lives around the community and will be truly missed. Julie is survived by her loving husband, Brandon Rhoades, 2 daughters; Kaliya and Ariah Rhoades, parents; Paul and Connie Osborne, all of Fort Branch, IN, 1 sister; Connie (Todd) Ralph of Haubstadt, IN, 2 brothers; Tom Osborne of Fort Branch, IN and Kenny (Cassandra) Osborne of Evansville, IN, mother-in-law; Connie (Gordon Gibbs) Grigsby of Evansville, IN, 2 sisters-in-law; Nina Fairchild of Evansville, IN and Tristen Robinson of Blairsville, IN, several nieces and nephews; Jessica Murphy, Jordan (Rachael) Ralph, Shelby, Megan, and Bryce Osborne, Roni and Rayn O’Brian, and Carter and Cannon Robinson, and 4 great nieces and nephews; Kane and Shea Murphy and Emilia and Evelyn Ralph. Services will be on Saturday, September 22, 2018 at 2:00 p.m. at Stodghill Funeral Home in Fort Branch, IN and officiated by Reverend Corey Atkins. Visitation will be on Friday, September 21, 2018 from 2:00 p.m. to 8:00 p.m. and again on Saturday, September 22, 2018 from 1:00 p.m. until service time. Donations can be made to the Leukemia Society, Gilda’s Club, and the Brandon Rhoades for Kaliya and Ariah Fund at Evansville Teacher’s Federal Credit Union.